Closed turns 40 this year. 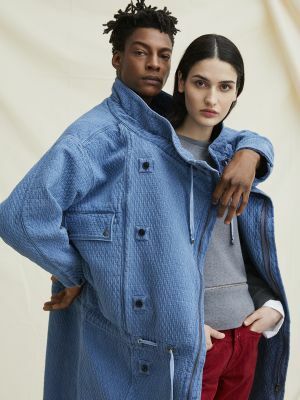 And while the brand is not a fan of a grand celebration, it still has come up with something special: It got back together with original founder François Girbaud for another special capsule collection. Girbaud was a pioneer in the ’80s: he introduced stonewashing, a technique that is still used today with great success (although it is generally a lot more environmentally-friendly than it used to be). Still, Closed does not want to rest this collection on Girbaud’s past achievements. Instead it is introducing a new vertical stretch style, called “Warp” stretch for both denim and chino pants. Closed x François Girbaud will be available from March 27 on. See in this video how François Girbaud explains what’s important to him when designing–in the past and today.